Wrapping gifts is half the fun of giving them, don’t you agree? 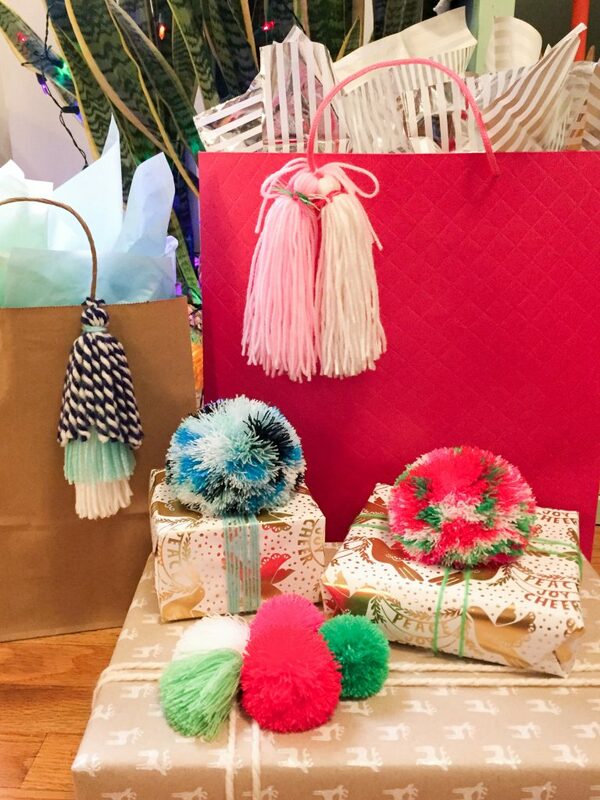 Here at TNTP we’re decorating all our gifts with, what else, pom poms and tassels! 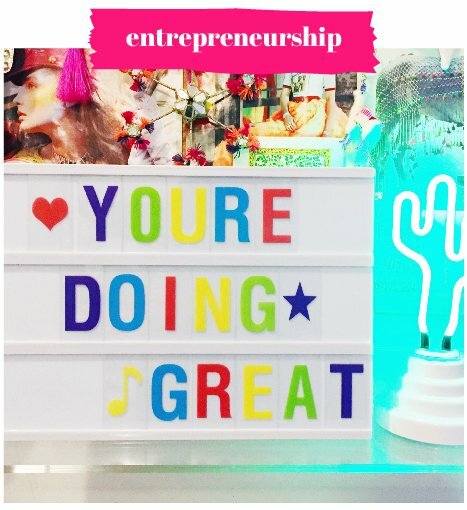 They’re such a fun and easy way to make a special gift even more special. 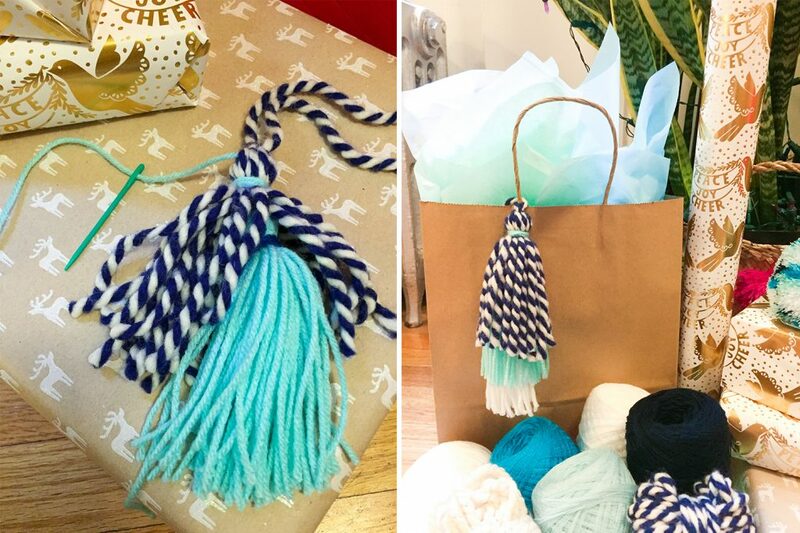 I especially love to attach poms and tassels in a way that they can be reused as bag charms and other easy adornments–talk about a gift that keeps on giving! 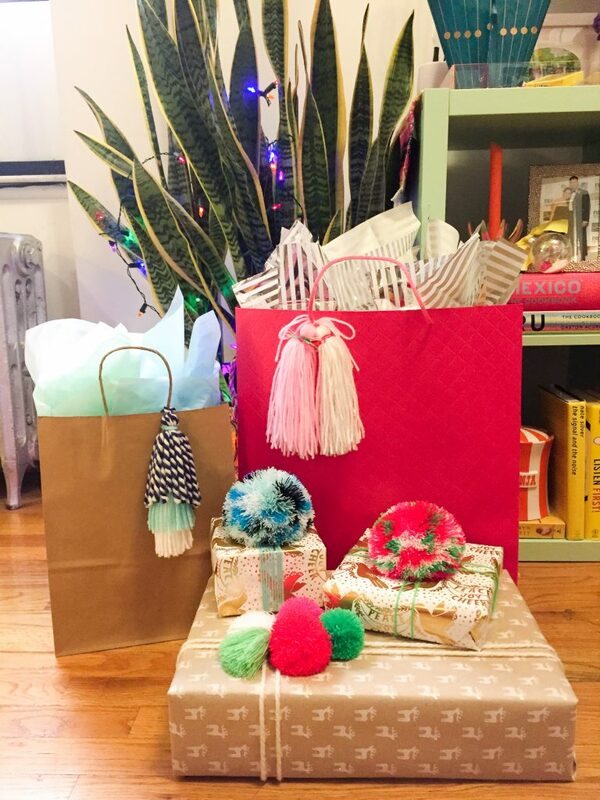 Today I’m sharing some creative ideas for how to use pom poms and tassels to decorate your gifts. Whether they’re going on a box or a bag, and whether you’re celebrating Chanukah or Christmas (or both! ), this fun and easy tutorial has got you covered. 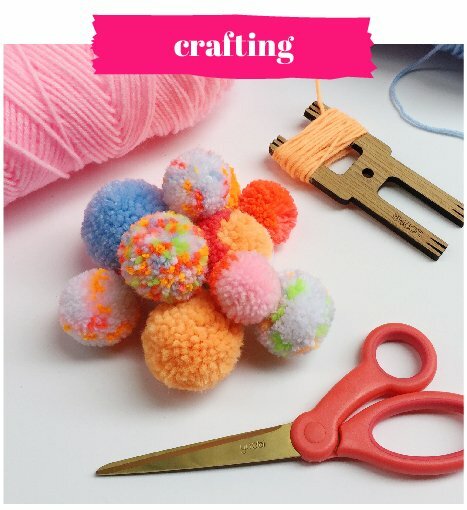 To make your poms and tassels, you can find a tutorial for tassels here and pompoms here! 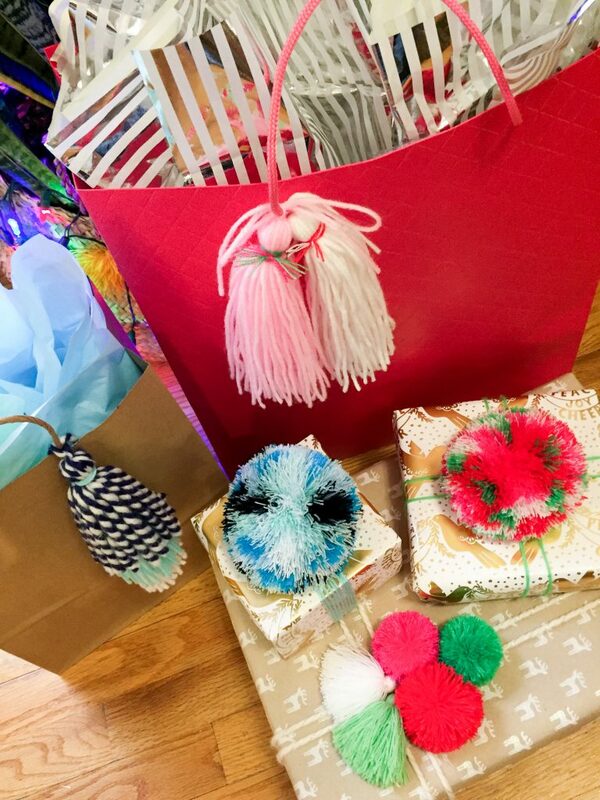 Most of my pom poms and tassels are made with Loome tools, which are available for purchase in our shop! 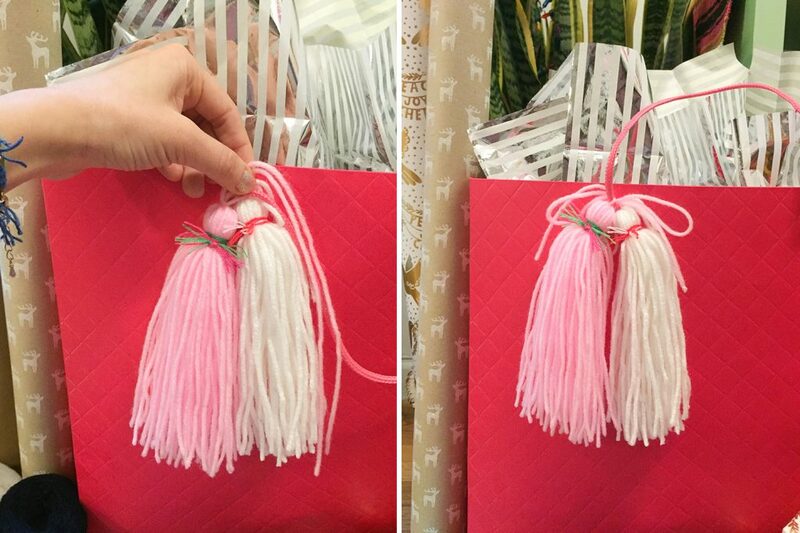 This fun and simple decoration simply involves tying two large tassels to the handle of a gift bag. Voila! 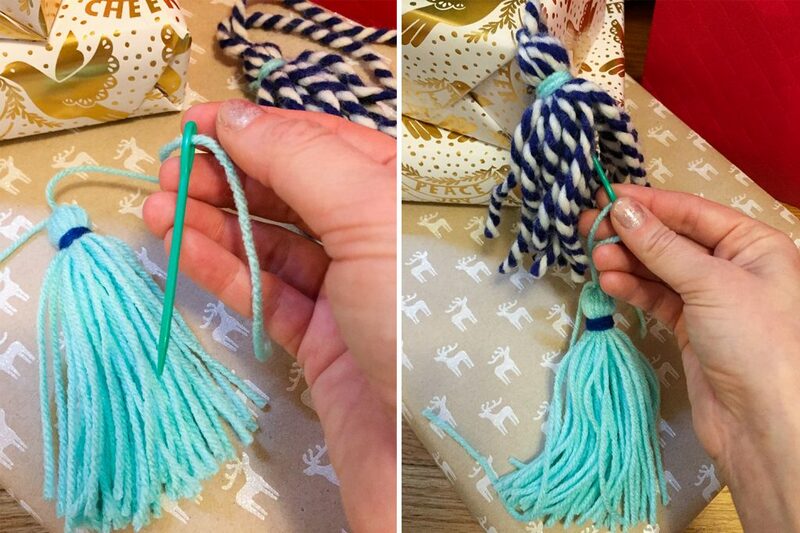 Be sure to tie on the tassels with a large bow so that they can be reused! 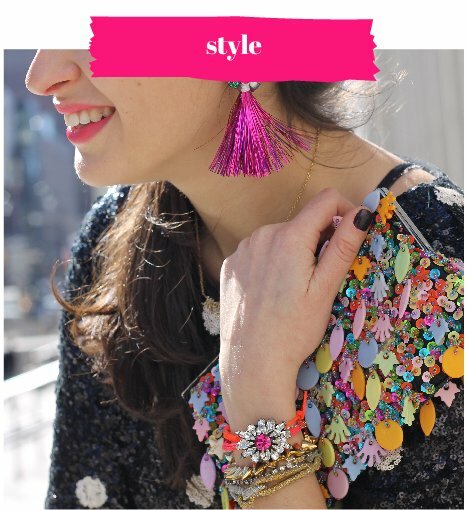 To achieve this fun layered tassel, grab your plastic yarn needle. Thread one of the long hanging strings from your bottom tassel through the yarn needle. Use the needle to go up through the center of the top tassel and back down to meet the other long hanging string. Tie the two long hanging strings together to secure and trim excess yarn. 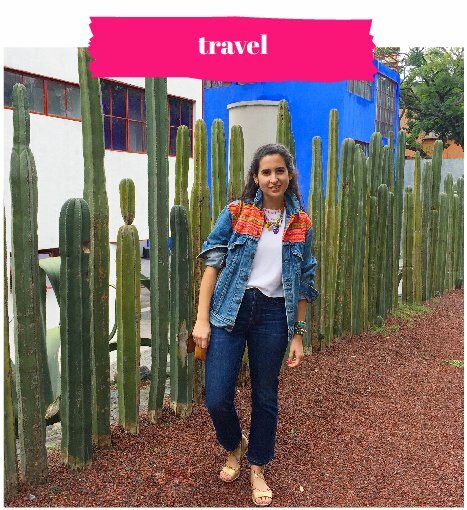 Repeat to add a third tassel! 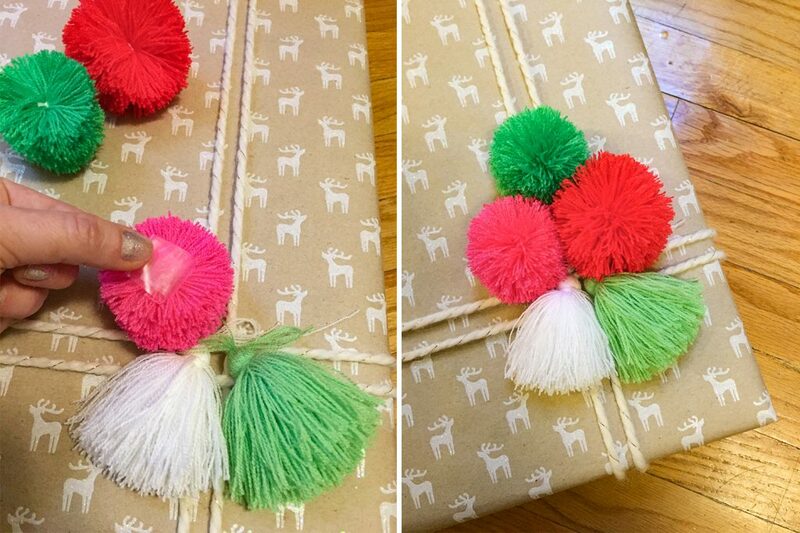 For this decoration, start by making a huge pom pom by using a rectangular piece of cardboard to wrap the yarn and a large cardboard circle as your trim guide. Once your pom is done, grab that yarn needle once again and thread a very long piece of decorative yarn through the needle. 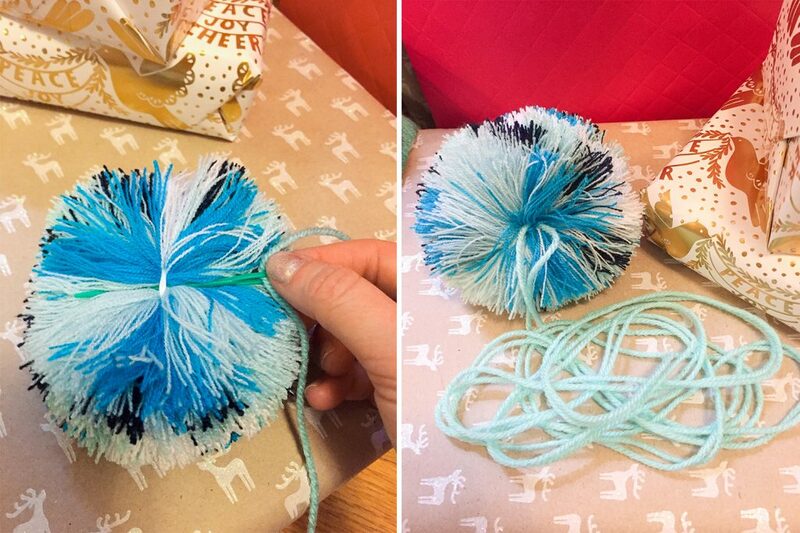 Find the string inside the pom that’s holding it together and thread the length of yarn under that string. Pull yarn through until the pom pom is in the middle of the length of yarn. 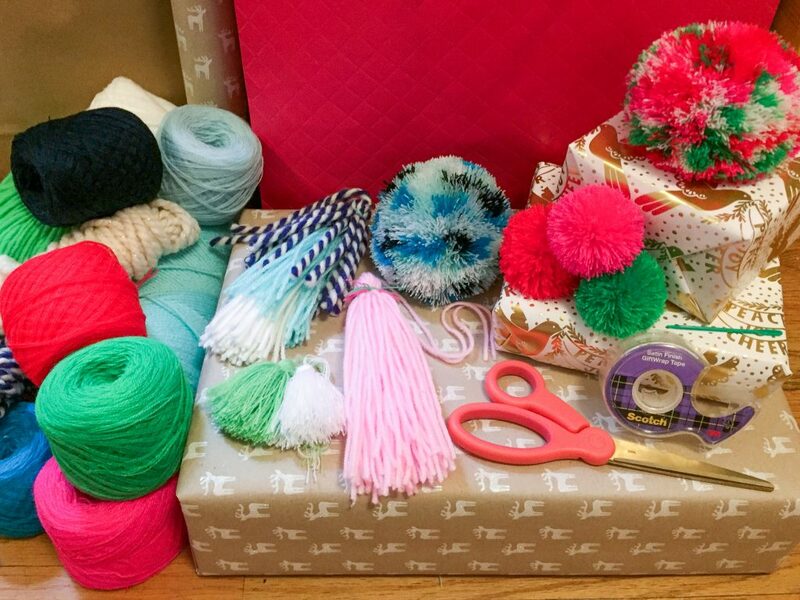 Place the pom on top of your gift and wrap the yarn around the box as many time as you can or like. Tie the ends of the yarn underneath the box for easy removal or under the pom for a clean finish. 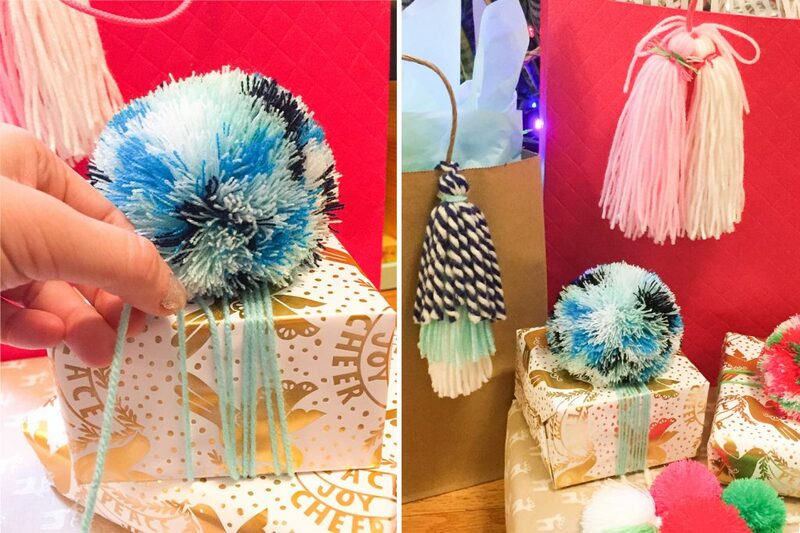 For this decoration, make three pom poms and two tassels using your Loome tool. (I used Omegracryl yarn for this and the large pom pom topper.) 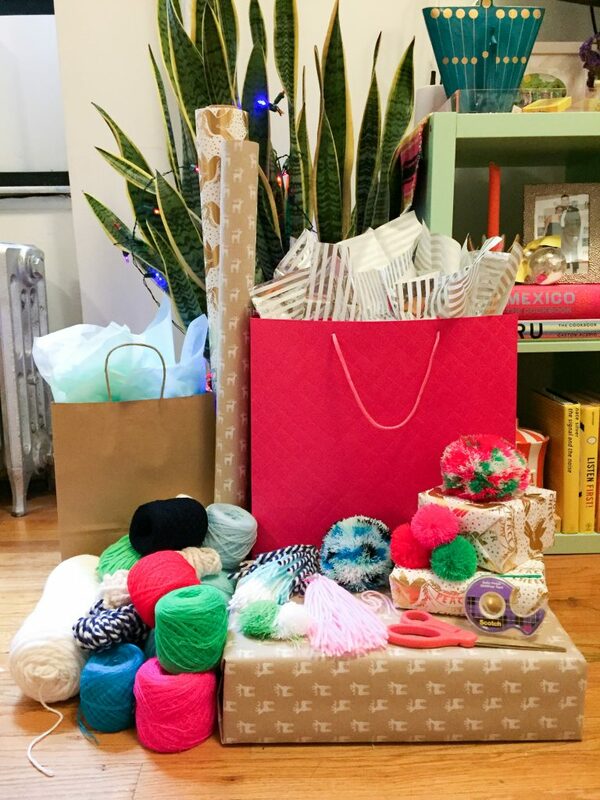 Start by wrapping your gift with decorative yarn. Next, tie your tassels side-by-side onto the cross section of the yarn. 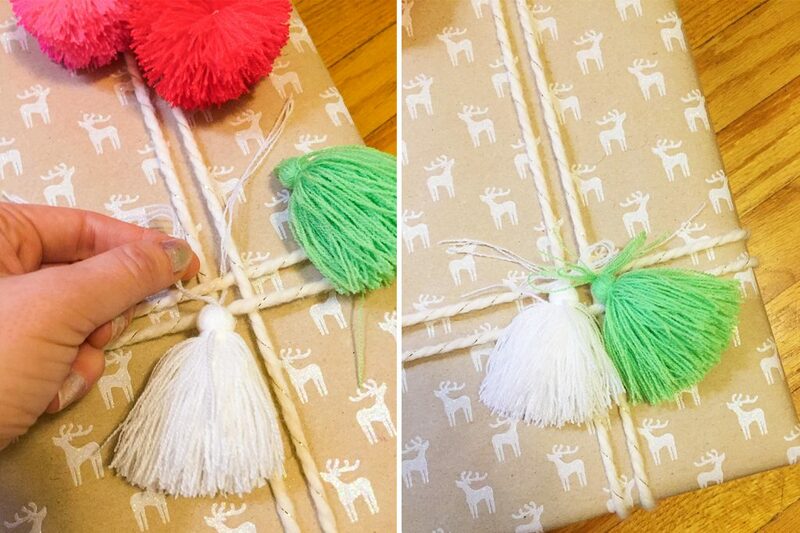 Last, make a tape loop, place it on the underside of a pom and press it down onto the wrapping paper to secure. Repeat with your other poms! 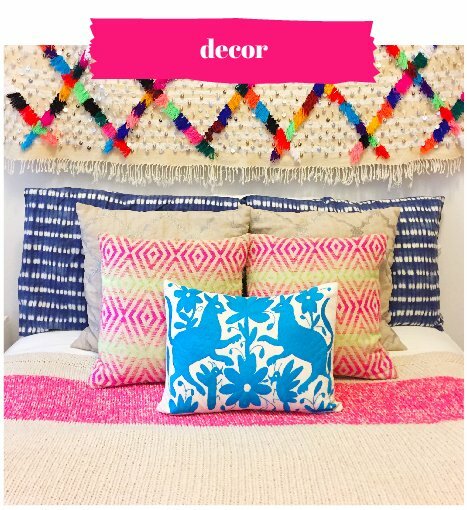 So fun and so easy once you know how to make pom poms and tassels! If you’re in NY/NJ, I’m collecting emails for upcoming class interest, so email me at marisa@theneonteaparty.com to be added! For everyone else, stay tuned in early 2018 for some improved digital tutorials!!! Happy wrapping, guys!!! And a very happy holiday season to each of you!!! !